Master Instructor, Tom Russell, has provided a two part article about how shotguns are much more effective for home defense. Having the shotgun loaded or unloaded will be determined by the type of shotgun you have, and your preference. A single-shot may be left in Condition 2 with a round in the chamber and the hammer down, thus all springs are relaxed. The double hammer gun may be left stored in the same condition. 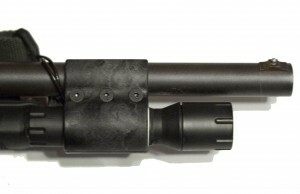 A double-barreled hammerless shotgun will be either empty or left in Condition 1, cocked and locked. My Remington 870 is left in Condition 3, a full magazine with the hammer down on an empty chamber, and the safety off. In this condition a pump action shotgun may be picked up and fired after simply pumping the action to chamber a shell. I call this “pump and shoot” to simplify the matter. If I didn’t need to fire immediately I would chamber a round, engage the safety, and top the magazine off with ammunition from the side saddle shell-holder. In my opinion the primary advantage of the shotgun is that you are striking an adversary with a heavy blow, not that you have to aim with less precision. In a defensive situation I would index the shotgun on target with the same care I would use with a rifle or pistol. Within its range it might be less forgiving of less than ideal front sight placement, but I wouldn’t train that way. The “shot spread” can even be a hindrance in a hostage situation. One must hit the bad guy without causing collateral damage to those we’re trying to save. 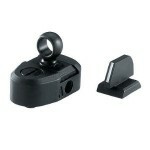 accurately engage targets at a greater distance the “ghost ring” sight is a fine option. Developed and promoted by Col. Jeff Cooper, “ghost ring” sights are now available from the factory on some shotgun models. 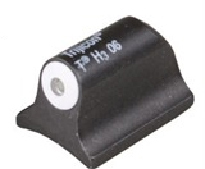 The rear sight is in the form of a thin rimmed ring which is barely visible when in use, hence the name “ghost ring. To properly use the ghost ring sight keep your eye on the spot you want to hit as the shotgun comes to the shoulder, then when the weapon is shouldered look through the rear sight (ghost ring) allowing your dominant eye to focus on the front sight. This sighting system is totally adequate for engaging targets out to the ranges to which buckshot and slugs may be accurately applied. A tritium front sight, either a post for use with a “ghost ring” rear sight or simple bead, can be very helpful in low light situations. One example is the XS Big Dot front sight which is installed by simply positioning the sight over the existing bead and gluing it in place with JB Weld or some other adhesive. Since many home invasions occur in low light situations a weapon mounted light is a very useful (essential) addition to a shotgun. 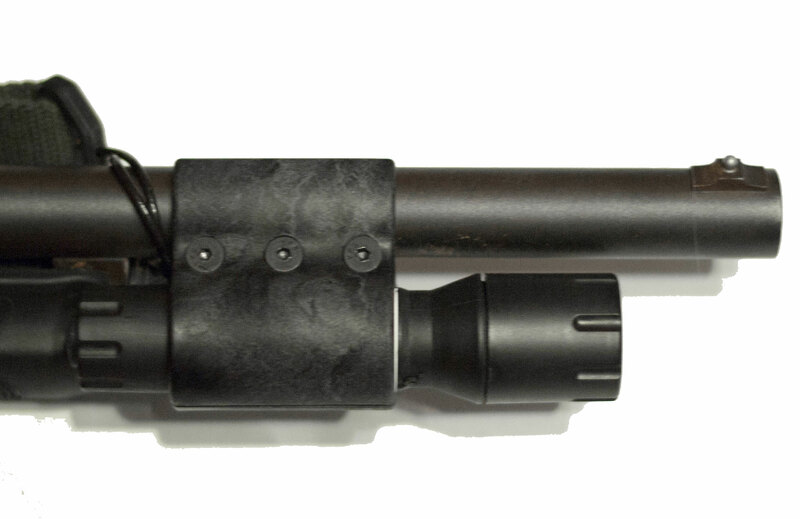 There are many different options available for attaching a light to a shotgun, for instance, Surefire makes a dedicated forend with attached light that works very well and retails for around three hundred dollars. The inexpensive arrangement I have pictured to the left is a Streamlight Polytac LED light in a Betts ClampOn Mount. The shotgun is an effective tool for home defense, but only if one is proficient in its use. That proficiency comes through proper training followed by intelligent practice. You must know how to run the shotgun in all conditions, especially in the dark. Innocent lives will depend on your being able to use the shotgun safely and skillfully. Learning and then practicing the proper techniques until they are reflexive is the key to developing skill and ensuring personal security.